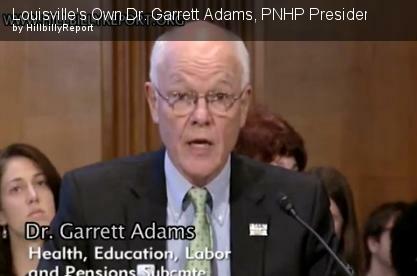 KSPH is planning an event to celebrate Medicare’s 50th Birthday on Thursday. July 30, 2015. Come to the KSPH meetings and be a part of making it happen! 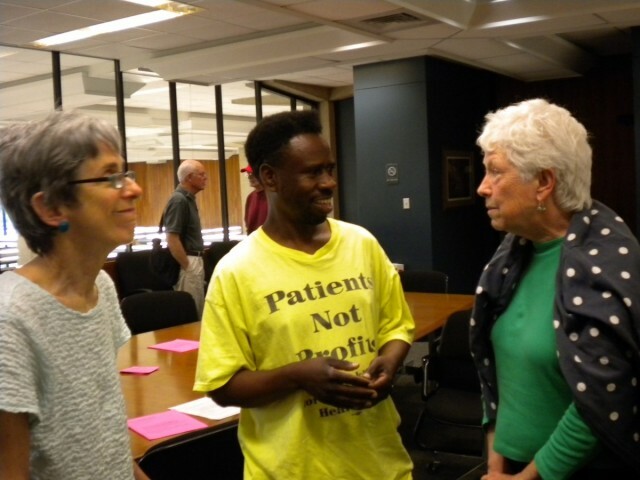 The next meetings are Thursdays, June 4th and June 18th, 5:30 pm, Board Rm on the Mezzanine, Louisville Free Public Library, 301 York St.
At a single payer meeting are (L to R) Jill Harmer, Antonio Wilson, and Harriette Seiler.